The Tomb Raider reboot has got just about everyone with a pulse pumped and excited. A long lost franchise has found a new image for itself, and we can all celebrate knowing that Lara Croft is once again front and center in the gaming world. It's always great to see your favorites make a wild comeback so late in the game. But alas, this story doesn't have a 100% happy ending. In response to the successful relaunch of the series, Crystal Dynamics is putting their short-lived Lara Croft side-series on hold. By series, I mean a single game which actually turned out to be much better than anyone had expected. Lara Croft and the Guardian of Light was one of 2010's most pleasant surprises. Not only did it give Tomb Raider a wonderful new look and approach, but it added an extra layer of depth with the addition of co-op gameplay. The isometric dungeon crawler had Lara Croft teaming up with an ancient Mayan warrior named Totec to stop an evil spirit called Xolotl. All the while the duo were forced to solve difficult puzzles and, of course, shoot enemies in the face. Sadly, all its accolades aren't enough to garner a sequel. 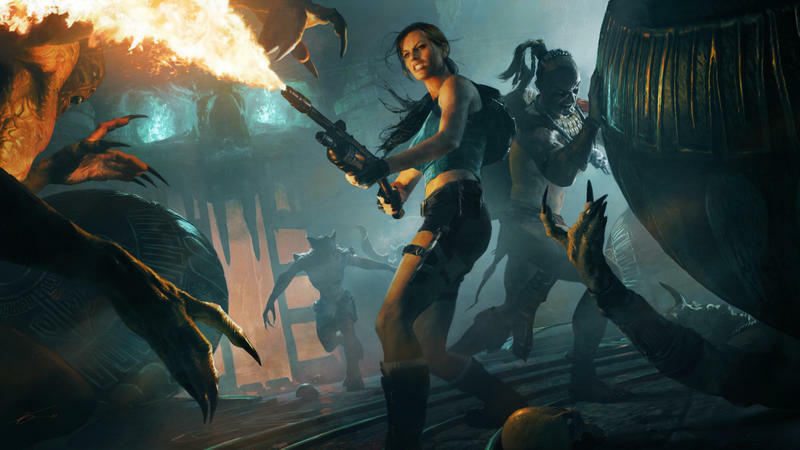 Crystal Dynamics has no plans to follow up on this excellent little title. "Guardian was a great opportunity to explore things that we may not have done in the pillar franchise titles, but in that case it was co-op. There are no plans to do anything in that series but it was a great opportunity to do something a little bit outside of the core." While I can't say I'm surprised, given the drastic new modern image the developers were going for, it was a nice run while it lasted. If you still haven't played Lara Croft and the Guardian of Light, I recommend it for some excellent couch friendly local multiplayer. Even the single play mode is worth checking out, if your friends are currently too busy enjoying the Tomb Raider reboot.